Without any doubts, Bram Stoker’s Dracula and Mary Shelley’s Frankenstein have been one of the most important and popular “monsters” of all time. These literary works have inspired so many things, from movies, alternate versions, and so much more stuff that even on Halloween is common to see kids disguised as any of these creatures. 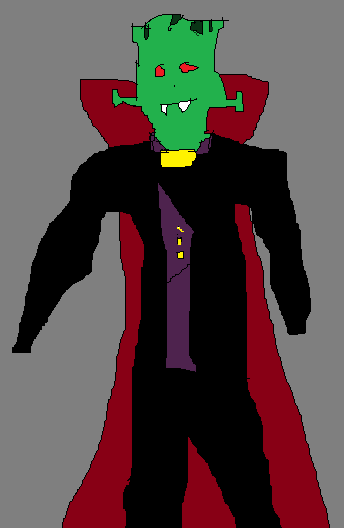 But I’m curious, how would a creature look like if we merge Dracula and Frankenstein into one? October’s prompt will give you the opportunity to answer that question! Your task is to make a drawing or graphic in which you show us how the merge of Dracula and Frankenstein would look like! Please share your spooky scary work replying to this thread. Remember to keep everything HOL appropriate, adhering to all HOL rules, and keeping your submissions 600x600 pixels or smaller. Wishing you a fun Halloween month! Last edited by Prof. Gustavo Flores on Thu Jan 04, 2018 1:06 am, edited 1 time in total. Behind him (the black things) are the wings of bat. Last edited by Prof. Gustavo Flores on Sun Feb 04, 2018 3:09 am, edited 1 time in total. Been having such fun doing this graphic- amazing idea and so many possibilities for making them. I had to do two options because it was so good. The templates that I have used making these. Last edited by Prof. Gustavo Flores on Sat Jul 07, 2018 5:20 pm, edited 1 time in total. 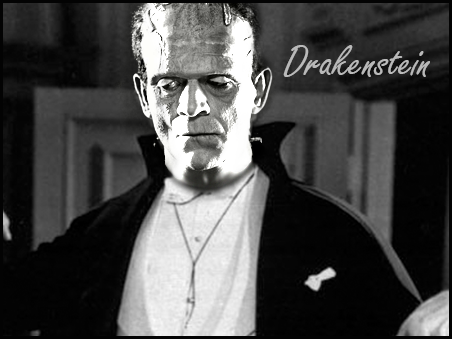 Image shows a black and white combination of movie's Dracula (body) and Frankenstein's Monster (head) with words Drakenstein next to the creature's head.